Vibrant deep red with a black tail blended up shank. Designed by Prostaff member Joey Princen. Our worms are all hand poured with the utmost care for high quality. Our colors are like no other with their vibrant bright hues. Each worm’s profile ,creates action going down the river like no other. Soft and pliable. They can be rigged with a contrasting jighead, or rigged as a wacky worm with a worm threader . They are Float fished, drift fished or bobber dogged. Almost any way you can think of. 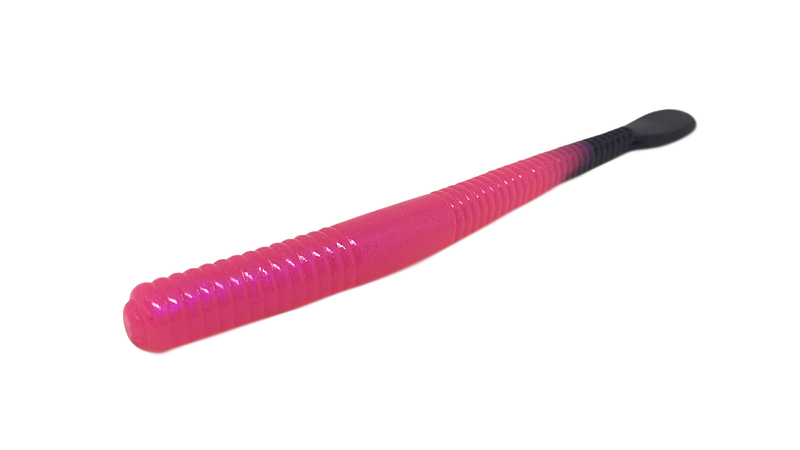 WFO exists to bring to you the best selection of quality, hand poured, custom worms. Customer satisfaction is important to us at WFO. Western Fishing Operations baits are made with the utmost in quality and care. If you are not satisfied with any of our hand poured baits please contact us and we will gladly "re pour or replace the item at no charge. Standard product order processing and shipping is 3-5 days from receipt of order. Bulk and custom order lead time will be communicated at time of order. Orders are standard shipped"USPS Flat Rate Box" at the applicable rate. We are constantly testing new colors to enter our lineup. All our prototypes are guide tested first for a season by some of the best fisherman in the Northwest, our Prostaff. With careful feedback and consideration we then decide on the best to enter our lineup. we presently have 20 colors including our UV color series.